I just got my copy although it’s not what I expected :/. I reserved the Love is Over Deluxe Edition (you know, the one with Vincent’s boxers?) but for some reason, DataBlitz failed me and gave me the regular edition. *sniff sniff* Ah well. 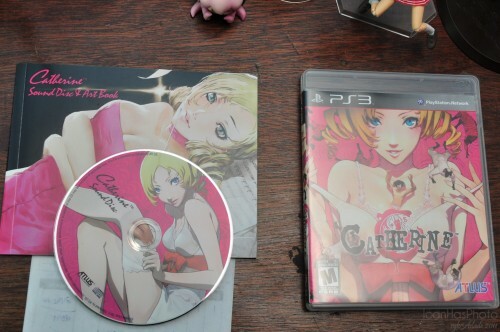 If retailer reports are to be believed, only the first release of Catherine (both the standard and the Deluxe editions) will get the free OST and Artbook so be sure to grab a copy NOW.